A dynamic effort day. Low box squats with a heavy band. 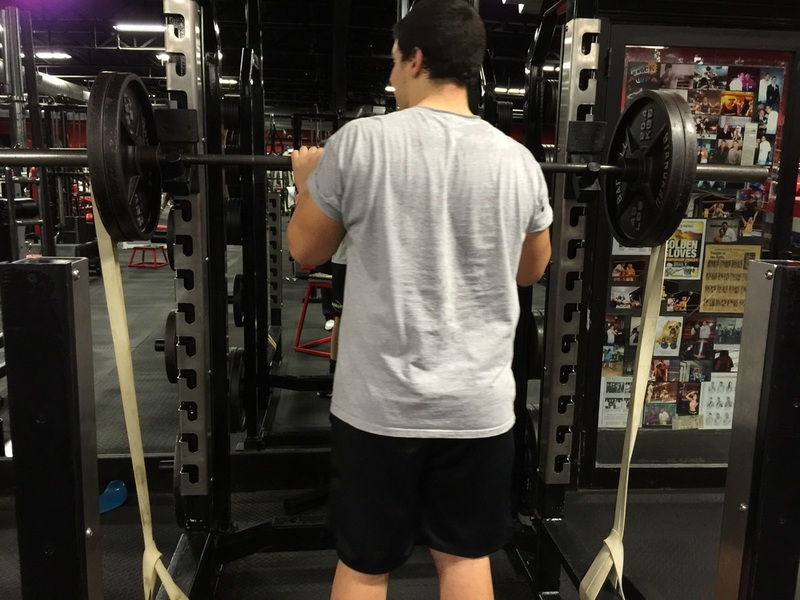 This high school scholar athlete doing 5x 3 reps doing explosive squats. You must use variety in your workouts so you don't get overuse joint injuries. Sport performance training is fun and rewarding when you think and lift out of the box!! Stay stronger.